Leading national quantity surveying firm, WT Partnership have released their quarterly market report, which shows that tender prices and construction industry assurance are on the move across the eastern states and in Perth. They are showing significant improvement in outlook and activity over the last three months, as the report outlines that at the change of the Federal Government in September there was a renewed optimism in the construction sector across most states. “Although both Federal and State Government spending remains tight, private investments in building and infrastructure looks set to take up capacity in these sectors”, the report outlines. “The construction market appears to have turned with consultants and contractors expecting improved activity in 2014”, said the report, although WT Partnership expects tendering nationally to remain tight for the next 6-12 months until then. WT Partnership is expecting to see national average tender price escalation for 2014 to trend below 2.0% with an increase for 2015 and 2016. However, the individual state predictions do differ. New South Wales is showing signs of improvement, “Across NSW, the building industry shows signs of improvement, with housing construction increasing for the first time in three years. Sydney CBD rental markets and residential sales volumes have continued to increase in the quarter,” said Nick Deeks, National Managing Director, WT Partnership. “We are projecting average cost escalation of 1.25% for 2013, 3.0% for 2014 and 4.0% for 2015 and 2016”. For Queensland, residential, commercial and retail construction is on the rise throughout South East Queensland. “Tender prices are on the move in South East Queensland. 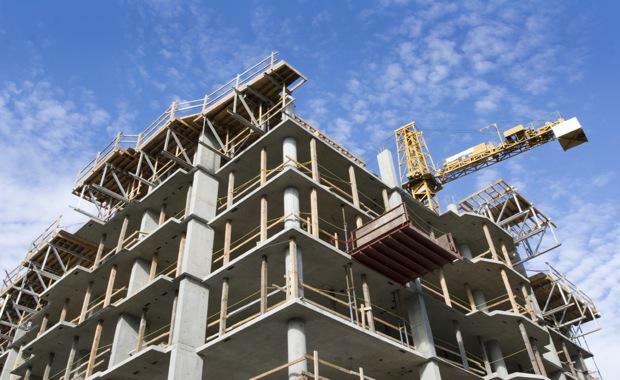 It is likely that the extremely competitive pricing by major builders seen over recent years will ease and we will see escalation rising from the current 2.0% to 4+% per annum in coming years of 2015/16.” said Jason Thornley, QLD Director, WT Partnership. Confidence in the Victorian construction sector continues to improve as overseas investment in major residential projects continues to boost the local market. “The State Government’s commitment to a number of major infrastructure projects is improving confidence as major engineers and contractors position themselves for demand,” said James Ford, Victorian Director, WT Partnership. South Australia Director of WT Partnership, Sam Paddick said Adelaide has seen once of the deepest and most rapid in construction pricing. “During last year, tender return prices fell by as much as 20%,” writes Sam Paddick, South Australia Director, WT Partnership. WT Partnership found that due to these extremely low levels of pricing, developers were starting to respond with retail being the first to move forward. Western Australia, according to WT Partnership has seen a weakness in activity across various sectors. However, these sectors will get strong within the next year as retail investment appears to have gained momentum within WA, with a considerable amount of work being scheduled. Australian Captial Terrirtory’s contractor enivornment continues to be dull, according to James Osenton, ACT Director, WT Partnership. Lastly WT Partnership quarterly market report shows that, in Tasmania, the economy continues to struggle in the face of dramatic cuts to GST revenue, high unemployment and low population growth.